During large-scale exercises in Russia's southern military district, some of the country's most advanced versions of the iconic Hind attack helicopter showed off their true multi-role capabilities—which includes going from close air support platform to troop transport seamlessly. The video below shows a Mi-35M, which is upgraded in almost every way compared to earlier Hind variants, including a modern "glass" cockpit with night vision goggle compatibility. This, along with upgraded sensors, makes the Mi-35M especially well suited for nighttime operations. Upgraded engines, rotors and transmissions also give the helicopter increased performance in nearly every category and especially in "hot and high" environments. 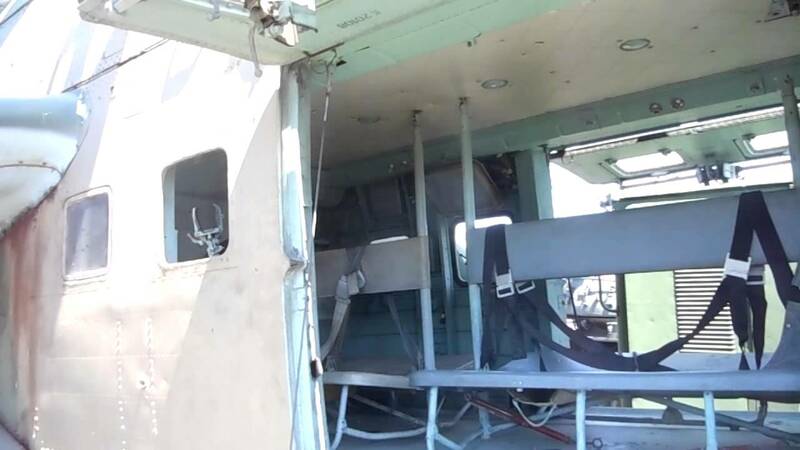 Like pretty much all Hinds, the Mi-35 retains its small passenger compartment, which is capable of lugging around up to eight fully equipped troops, or four stretchers. This allows the Hind to deliver small units to forward areas on the battlefield, and to immediately provide overwatch and close air support for those troops once they have disembarked. The helicopter can also exfiltrate those troops back out of the combat zone or work as a medevac platform in a pinch. Even quickly transporting supplies, such as small arms ammunition, to the front is within the Hind's repertoire. Having a cabin is really an awesome and unique capability for an attack helicopter, especially in an age when such a premium is put on utilizing small special operations teams to achieve large effects on the battlefield. The Mi-35's human transport capability has even been extrapolated into what has to be the most exotic VIP transport helicopter in the world—the Mi-35MS. This shadowy and de-armed Hind derivative is thought to work as a continuity of government aircraft of sorts, whisking top MoD and Kremlin leaders from their high-profile Moscow strongholds off to hardened bunkers while still allowing them to maintain connectivity with their forces during a national emergency. During less dire times, the small Mi-35MS fleet likely works as a military VIP taxi, used by Defense Minister Shoigu and other top military officials. Putin still prefers his far roomier Mi-8MTVs. The special mission helicopter is outfitted with a defensive countermeasures suite, radar, and an elaborate communications system, which includes a Raduga-MB satellite communications installation. The closest thing the US has to a gunship with some transport capability is a concept that leverages a transport helicopter design and adapts it into a gunship, and not the other way around. The 160th Special Operations Air Regiment (SOAR), better known as the Night Stalkers, have a small fleet of highly customized MH-60 Direct Action Penetrator (DAP) gunships that have been adapted from the stock H-60L Black Hawk design. But the cabin is usually stuffed with ammunition magazines and a large external fuel tank, so it is uncertain if it could lug even a small team of troops into combat, but it is unlikely. Usually a standard special operations modified MH-60 would just carry the force alongside the DAP. Maybe the USMC's UH-1Y Venom could be compared to the Mi-35, but once again, it is a utility helicopter that has evolved into a transport-gunship over time. Regardless of its potential analogues, the Mi-24 family still offers a ton of functionality nearly 50 years after it first flew—a testament to the ingenuity of the design team at Mil that made the still-feared attack chopper a reality. The Afghan Air Force desperately needs more helicopters, but the UH-60s could turn out to be more trouble than they're worth.